Detroit Fighting Irish of the U.S. Premier Hockey League has announced a series of open skates ahead of its September 6-8 tryout camp. The open skates are for all players looking to gain a roster spot on the 2018-2019 edition of the Fighting Irish. 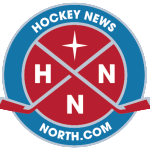 Meanwhile, Fighting Irish general manager Dan Vasquez told Hockey News North that the skates are also open to DFI alumni and affiliate players who are looking to get into shape before reporting to their respective teams ahead of the 2018-2019 campaign. The open skates will be held at Brownstown Sports Centre on the following dates and times. Thursday, August 2, 8-9:30 p.m.
Tuesday, August 7, 7-8:30 p.m.
Tuesday, August 14, 7-8:30 p.m.
Tuesday, August 21, 7-8:30 p.m.
Tuesday, August 28, 7-8:30 p.m. Cost is $15 per skate for players looking to gain a roster spot with the Fighting Irish and $10 per skate for alumni and affiliates. There is only opening for one goalie per skate. Goalies must contact dan@detroitfightingirish.com to secure spot for each skate. Also, to register for the Fighting Irish September tryouts, visit detroitfightingirish.com.